LARCO MUSEUM + CITY TOUR LIMA ( Code MSML02) |LimaTravel V.I.P. 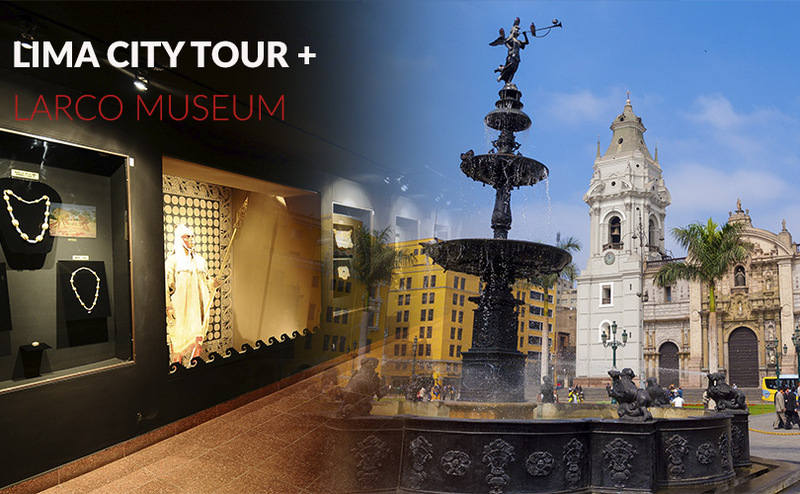 Visit one of the best museums in Lima and enjoy the city tour in Lima offered by Lima travel Tour operator. Transfer from San Isidro, Miraflores and Lima. Guided visit to the museum Larco. Guided visit to historic center of Lima.